It’s been a long time since I’ve felt rejected upon walking into a church. Sure, people continue to stare when I show up for daily Mass, but I know why. It’s not because they don’t want me there, but because they’re still getting over the shock that I am there. At twenty-four, I am easily fifteen years younger than the second youngest daily Mass attendee, who in turn is about twenty years younger than the third youngest. I would venture to say that the average age of daily Mass attendees has to be in the mid-seventies, and I am aware that my home parish is not an anomaly, but the rule itself. So yes, I am used to stares when I walk into a church. What I am not used to is walking into a church and feeling rejected. Yes, I am an oddity, but I am still wanted. I am not rejected simply because of my youth. It has been years since I felt rejected after walking into a church, but after a particularly negative experience during a weekend trip to Pennsylvania, the wounds of rejection have reopened and long-forgotten memories have risen to the surface of my mind. Though I am generally accepted at church nowadays, there was a time when I felt utterly rejected. The Catholic Church has often been described as a loving mother who embraces her children with open arms. She is supposed to give shelter to the traveler, comfort to the afflicted, peace to the distressed. She is supposed to love those who have been rejected. She is not supposed to be the one to reject. Jesus Christ spent His days with sinners. He dined with tax collectors, and allowed prostitutes to sit at His feet. He embraced the outcasts with open arms, and called His Church to do the same. Unfortunately, even as the Church is the Body of Christ here on earth, she is also composed of sinful human beings. We do not always act as we ought. In fact, we might do the exact opposite of what we ought. The Church has been called to embrace the rejected, but on occasion we must admit the truth: not only do we not embrace the rejected, but sometimes we even reject them ourselves. I am very much aware of this temptation. I have my “spot” in church, and I even have my spot in the parking lot. I like sitting in my regular spot for Mass, but if I come into church and find it already taken, I simply find another one. I consciously make an effort not to allow myself to be bothered by this inconvenience- it’s not like we’re tight for seating in my parish. If it’s a person I’ve never seen before, I even try to make eye contact with them. I smile. I know what it feels like to feel un-welcome at a church, and I don’t want anyone else to feel the pain that I did. When I was in high school, I had what many Catholics call a “re-version” experience. In other words, it’s a conversion experience for fallen away Catholics. There was no “conversion” to the faith for me, not in the sense that I changed faiths. I was baptized Catholic as an infant, and my mother faithfully brought my siblings and me to Mass every Sunday. We went to a Catholic grammar school, and my parents supported my decision to go to a Catholic high school, even if it meant paying more. But despite all this, I really wasn’t incredibly faithful. I went to church on Sundays, but it was only out of a sense of obligation and typical “Catholic guilt.” It wasn’t that I didn’t believe it though; I just didn’t care. I didn’t care about the faith. What I did care about was my reputation, what other people thought of me. I played sports to impress the athletes. I did well in school to please my parents and teachers. I was an altar server to make the parish priests happy. I never said ‘no’ to anything; I was willing to do anything to please people, and one of the most significant outcomes was that most people assumed that I was a faithful Christian who loved the faith and Jesus Christ. Yeah, I was a good girl, but I wouldn’t say I was a good Christian. I didn’t really care about Christ; I certainly didn’t love Him. If He did exist, I assumed He had nothing to do with me. I was my own person, responsible for my own life. I didn’t need Him, and I definitely didn’t want Him. I told myself that I was doing very well on my own. Eventually, I realized that I was horribly wrong. After spending years in the darkness, mistaking it for light, I finally found the truth. I realized that I needed Him, that I wanted Him in my life. I couldn’t do it all on my own. I needed His help. He became my life. I fell in love with Him. But that wasn’t the end, and I’d be lying if I said that it was all peaches and cream after I turned back to Christ. There were still struggles to be had. When I rediscovered my faith, I fell in love with Christ. 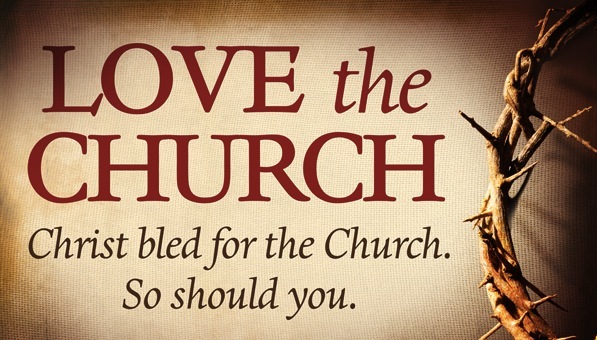 I did not fall in love with His Church. In fact, for a while after my re-version, I didn’t even like calling myself a Catholic. Christian, I could identify with easily, but Catholic? That was more difficult. 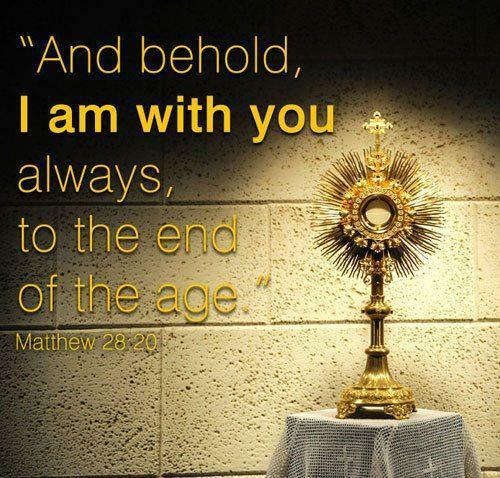 It made sense that I should remain Catholic; this was the faith that I had been raised in, even if I had not accepted it, and I had fallen in love with the Eucharist. This was why I could not even fathom the possibility of converting to another faith. Even though I felt as though I had been rejected by the Catholic Church, I could not reject her in return. On a very deep level, I understood that to reject the Church was to reject Christ. I could not have one without the other. If I wanted the Eucharist, the sacraments, and the graces that Christ was offering me, I had to accept His Church. 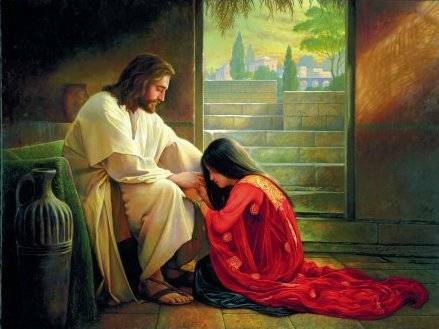 This was His Body here on earth, and I knew that loving Christ meant loving His Body, even if it was filled with men and women who had rejected me, who had made me feel unwanted and unloved. I had fallen in love with Christ, and I understood that this meant that I needed to love His Church. I chose to love her, but it took me a very long time to like her. Finding Christ had not been easy. There had been many times where I wanted to give up, go back to the darkness that I had been living in. But I knew that I could not do that. I had found the Truth, and I could not let Him go. It has always been easy to love Christ, but I cannot say the same of His Church. Christ accepted me with open arms, but His Church, or at least some of her members, rejected me. While I was searching for Christ, I was repeatedly turned away from Him, and it was His own Body that was responsible in many cases. It was the stares and glares, the disgruntled shakes of heads, and impatient priests that pushed me away. It seemed that every time I took a step towards Christ, a member of His Church pushed me back. And not gently. When I walked into a church wearing jeans and sneakers, the stares of well-dressed parishioners nearly caused me to turn right around and leave. When I unknowingly sat in a seasoned parishioner’s pew, they simply glared at me until I moved. When I wanted to kneel before the Blessed Sacrament after Mass for a few minutes, I was quickly chased out by a priest who stood directly behind me, clearing his throat, until I got the message and left. On so many occasions, I have been tempted to turn my back on the Church, because some of her members first turned their backs on me. I felt unwanted, a kink in the normally smooth running of daily Mass. I was an annoying intruder who just didn’t know how things were done. I was an anomaly that everyone was hoping would go away soon. Unfortunately for them, I was not easily swayed. Though I was repeatedly rejected, I couldn’t abandon the truth. My love of Christ carried me through those difficult times, and eventually I made it through this period of darkness. Having accepted both Christ and His Church, I never thought that my return to Christ would be filled with as much darkness as it was. I had always heard that meeting Christ was like stumbling out of the darkness and into the light, and in essence, that’s what it was. Christ is my light, and because of Him, I am no longer afraid of the darkness. Christ’s light has allowed me to walk through the darkness without fear. Unfortunately, in my naivete, I assumed that I would find the darkness in the world, and not in the Church. Since finding Christ, I have realized that there is darkness wherever there are human beings. We are capable of great good, and great evil, and even faithful members of the Church are not perfect. I have also realized that there is light wherever Christ is, and now that the light has come into the world, the darkness will never overcome it. After months of struggling, I finally felt accepted by my newly found Church, but this had little to do with their own choices, but mine. Condemned to the last pew, where I knew no one sat, I watched and took notes. I began to dress like the other parishioners, and I found a vacant pew to make my own. Since my parish priest insisted on locking up immediately after daily Mass, I found other places to pray and eventually learned that I could come before Mass to pray, as long as I didn’t mind chatting parishioners in the pews. Yes, it felt good to be accepted, but I vowed that I would remember what it had felt like to be rejected. Even though I blend in with the rest of the parish community, I have taken my first experiences within the Church to heart. Even though I am dressed like my fellow worshippers, I make every effort to welcome newcomers, no matter how they are dressed. When I walk into church and find someone else sitting in my regular spot, I simply find another place to sit. When I see someone new at Mass, I make sure that I at least smile at them, even if I don’t verbally welcome them. I know what it feels like to be rejected, and I want everyone to know that they are loved and wanted when they come to church. Other people might see a disrespectful kid, but I see a lost soul looking for love. Other people might see a rude intruder, but I see a newcomer looking for acceptance. I am pretty confident that I know who has the truth. It has been several years since I first returned to the faith, and over time those first experiences in the Church have been shoved to the back of my memory and replaced by newer, better ones. As this has happened, I have largely forgotten how rejected I felt during those first months. While I continue to be very tolerant of inappropriate clothing and behavior at Mass, it’s been a long time since I was rejected for those same accusations. I continue to be patient with those who don’t know when to sit and stand, or what they’re supposed to do during the Sign of Peace or the Our Father (I still struggle with some of these things since they change so much from church to church). While I know where I like to sit, as well as where everyone else likes to sit, I refuse to get flustered when my usual seat is taken. I know how wonderful it is to feel accepted and appreciated. I know how it feels to be welcomed and loved. And I want everyone to feel this way, because this is what Christ wants everyone to feel when they stumble upon His Church. We are the Body of Christ here on earth. We are His hands and feet, His mouth and ears. We must be the arms that embrace, the hands that reach out to the outcast. We must be Christ’s smile, and His words of welcome. I found Christ, and that led me to His Church, but this is not always how it happens. Sometimes people find the Church first, and then are led to Christ. We do not want to lead these Christ-seekers away from Him. We want to lead them right into His arms because that is where they want to be. They want to be held within the arms of Christ. They want to be accepted. They want to be loved. But Christ has no hands but ours, no mouth but ours. Will you embrace the lost? Will you accept the outcast? 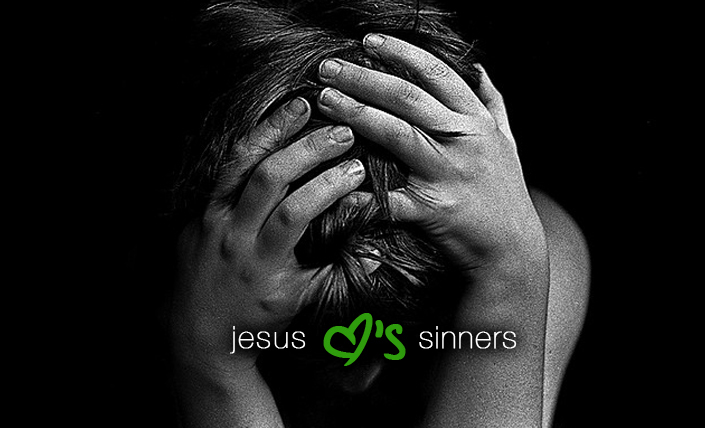 Will you love the sinner? Christ did. Very inspiring story–thank you for sharing. Really made an impact on the way I view church newcomers!